Visit one of the nation's top ten zoos! Test your imagination (and the rules of gravity!) at a hands-on science center. Wander through lush gardens, featuring a two-story waterfall. 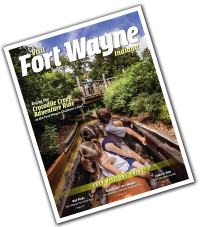 Enjoy dozens of hands-on opportunities for your family to reconnect, laugh and learn together when you getaway to Fort Wayne!